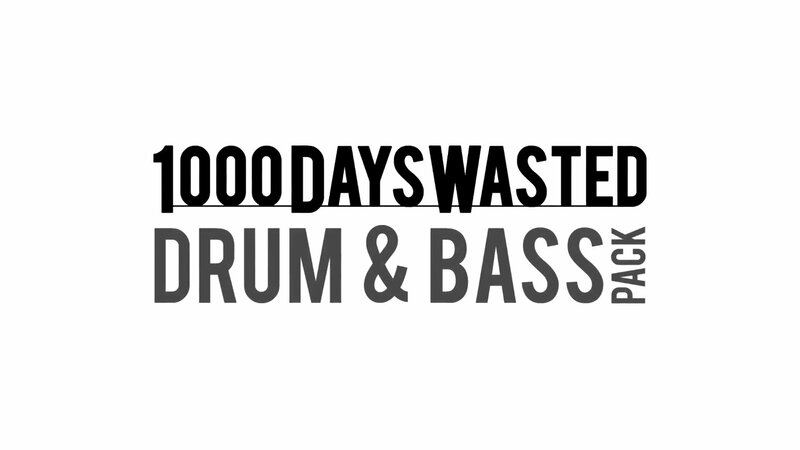 While the game has a mixed bag of well-known artists and songs to play already, this pack highlights the talents of British born DJ and producer, 1000DaysWasted. While I'm not down with the kiddy winkles (youth) who love themselves a bit of drum & bass, I've certainly come out of playing this DLC to know that it matches up perfectly with the style and gameplay of Aaero, so I can see why the guys at Mad Fellows decided to get this sort of music involved. The Three tracks added to the game via this DLC are The Sickness, Rage, and Dissonance Constant. 1000DaysWasted has easily taken on the role of giving your ears the pleasure while Mad Fellows do their thing with the visuals. While not really throwing anything new at you in regards to looks or how previous tracks in the game played out, they do offer a different experience when it comes to the audio of course, and if anything that helps in making this DLC something a little different. While playing these tracks on normal is okay for the guys and girls who got through previous tracks that way, the more challenging and proper experience on them comes by upping the difficulty. Playing Aaero to review at launch I got through to unlocking the advance difficulty by the skin of my teeth, but if I had just played these levels on normal, the words I'm typing now would be something along the lines of these new tracks fail in offering any sort of challenge, so I'm glad I put myself through the torture of trying my best to get to advanced first time around. Loading up The Sickness track on advanced saw sections that were easy on normal where I just had to stay on the ribbon of light and breeze through, to now sides that were empty having enemies that needed taking down before they took you out. It was that whole tap head and rub belly challenge all over again which made you have that love-hate relationship with Aaero first time around. Have I beaten these levels on advanced right now? Hell no!!! but that's what will keep me coming back over the next few weeks, so the DLC has done its job right there. In terms of the three ships on offer, this will all be down to player preference. Personally, for me, the game didn't really need ship DLC, but for those who wanted this kind of DLC at least it's being offered. It's also a great way to just support the devs and give them a little back to help fund future DLC. It's only 79p, so at least Mad Fellows are not acting stupid when it comes to pricing on it like many other devs would. Overall: This DLC has not only been a decent addition to the game, but it's also just been a great reason to have to load up the full game for the first time in ages. A new boss like level would have been nice to wrap up the pack, but even without one, it's just been great to be reminded why I enjoyed Aaero back at launch. Hopefully, this DLC gives Aaero a second wind of sales, as it really is a game everyone should at least think about playing. The tracklist the game had was great already but this cheap add-on only adds to it, and you get new achievements as well. What's not to love? Links to the full game, DLC, and ships can be found by clicking here. It looks like the music is a good fit for the game and new ships are always fun, although I wasn't sure if they were just skins or do they have different stats? Great review anyway, Tone, my man. Always an interesting read! Ps I hadn't heard of 1000Days Wasted either, seems I'm just as out-of-touch with the "Yoof" as you are! Just the skin, as the ship itself has never been nothing more than an object that can get hit or fire rockets. I should have really mentioned that.